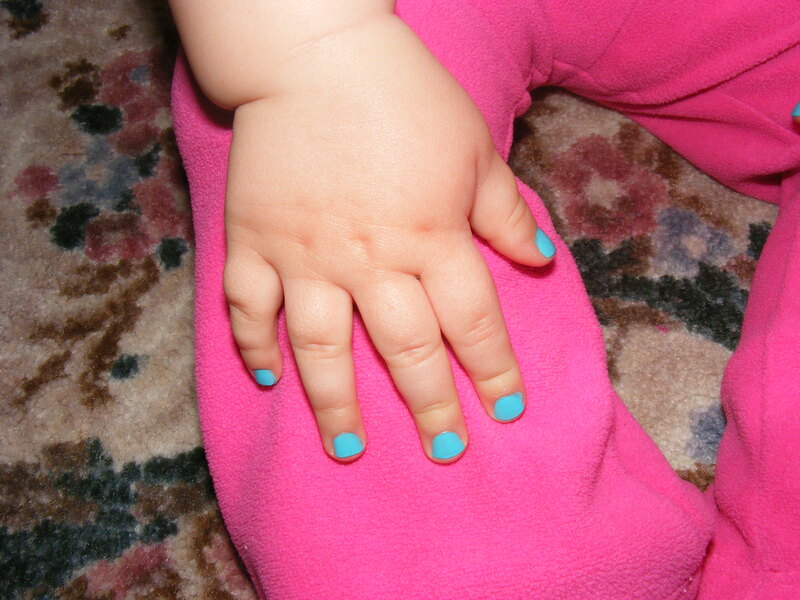 Well my daughter likes manicures! I bought more Piggy Paint the other day at ShopEco and decided to give Isabella a manicure this time. I thought she’d fight me since I have to hold her hand so she can’t smudge the polish, but instead she sat there and just stared at the tv until I took out the hair dryer to dry her nails. Then she looked at me then her nails and said… “WOOOOOOOOOOW” She then sat there and stared at her fingers for about 15 minutes before saying “WOOOOOWWW” again. The only complaint I have about the polish is that it chips right away. I’m going to have to go on Facebook and see if there are any suggestions on how to keep it from chipping. It’s annoying because I just got it on her fingers and already two of them are nearly bare. I wonder if I get the top coat if if that will actually help or not. Either way I love this polish, there’s no smell and it’s nice to know that if she does get some of the polish chips in her mouth that it’s non toxic. Hmmm, good to know – I was thinking of buying some of that polish. You’ll have to let me know if you come across any solutions. I just posted on the Facebook page.. hopefully someone will tell me. It’s so annoying to do all the work then have to take it all off because it’s chipped.